When planning a wedding, often couples will pinpoint a design look or feel that will be the continuous element in their wedding festivities so that the entire look will be cohesive. 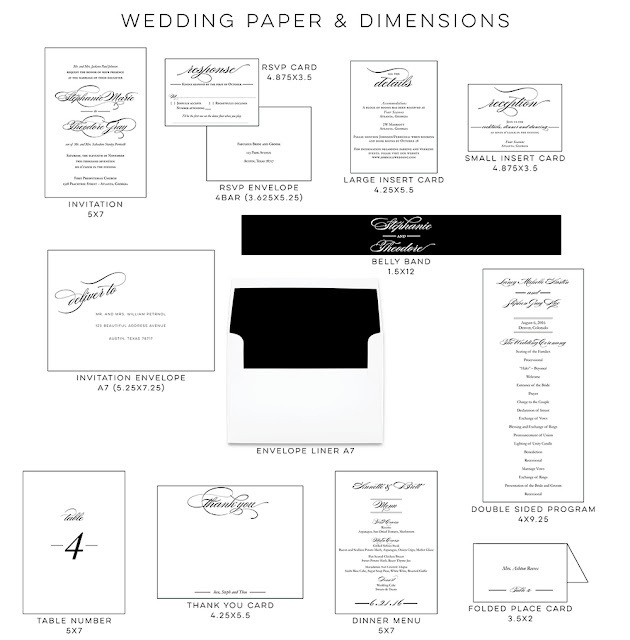 Paper, color and monograms are 3 of the easiest ways to achieve a branded wedding. from the initial first look your guests will have of your wedding (the save the date) to the very last element from your wedding day (the thank you cards you'll send). We suggest deciding on an approximate look for your wedding invitation first and then design all other paper elements around that. Even the save the date should be designed or chosen after you decide on your invitation, so no opportunities are missed in creating the memorable cohesive look.